Looking for a Fantastic Hot Air Ballooning Adventure over Arizona? How about Phoenix, Scottsdale and the Surrounding Areas of Arizona? Our Members Below are ready to take you on the Hot Air Ballooning Advernture of a lifetime! 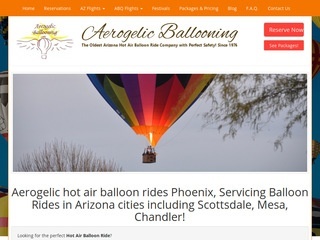 Be sure to ask them about Chamber Member and Resident Member discounts on all their Arizona Hot Air Ballooning Adventures!